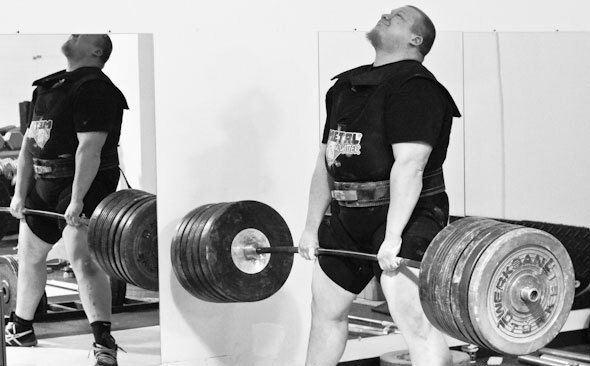 The deadlift is a big movement that utilizes every muscle and joint in your body. You better be good at doing it. But how do you know you’re doing it correctly if you can’t see yourself doing the lift? Today I want to show you a trick that can help you out. Check out this video below. The first rep is without a cue to turn on the lats. The second rep is with it. Watch the video again. Notice the bar’s path of travel. During the first rep, the bar never really gets to my midfoot, which is about where I would ideally want it. When the bar is in this position, it has better leverage than I do. During the second rep, watch the bar go back. There I can finally sit into it. Coaching yourself isn’t entirely a guessing game. You don’t have to fabricate a cue out of the blue that you think will work for you. If you’re an inexperienced lifter who lifts alone, film a few sets. Compare set one and set two. What did you feel working? How did the reps feel? Which one looks better: one or two? Make your workouts like a visit to the doctor’s office. When you aren’t sure what you’re looking at, you need more experience. Try something new and re-evaluate. The secret to the training process is understanding the scientific method. It is simply trial and error. What did I do wrong? How do I fix it?